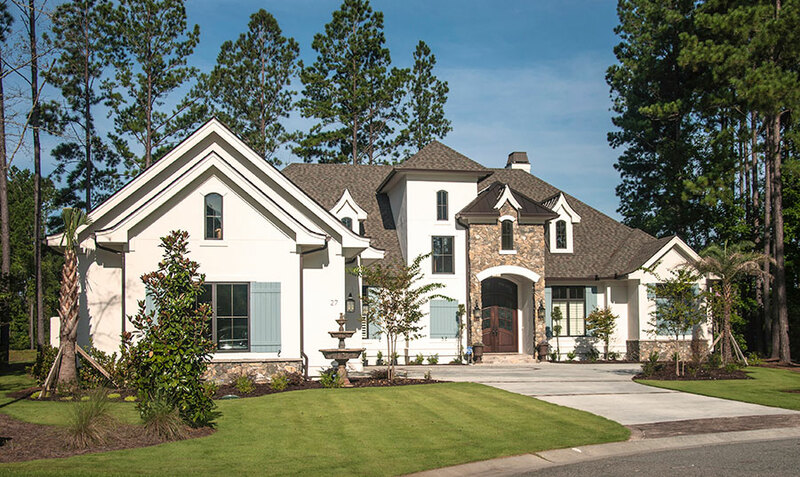 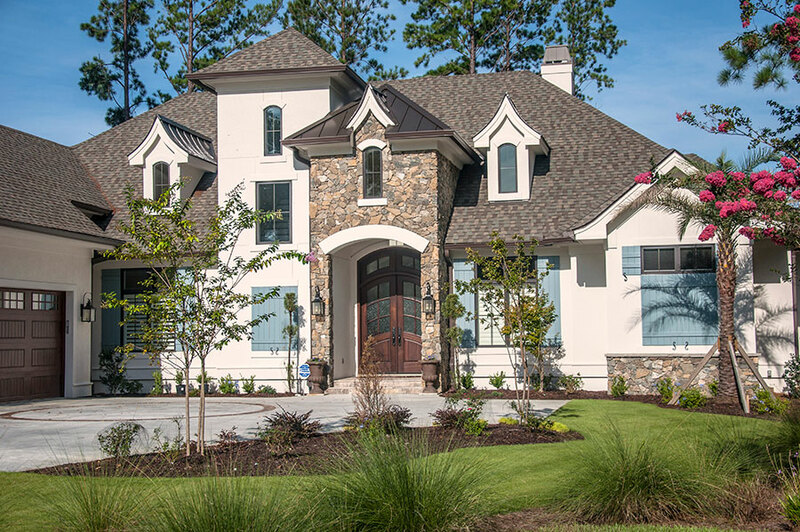 This 4158 Square Foot Home is a lovely French Chateau Style. 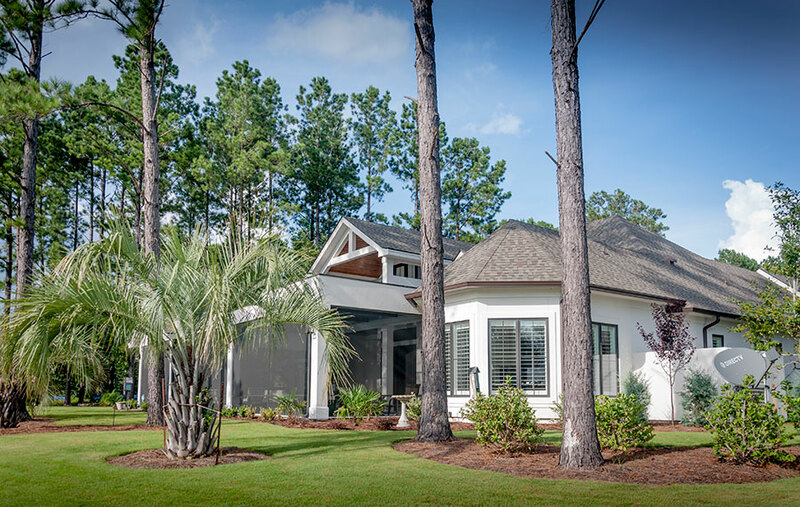 It is a two story, 3-bedroom, 5-bathroom home with a Piano Room, Office, and a Screened Lani Area with a Pool and Large Outdoor Kitchen. 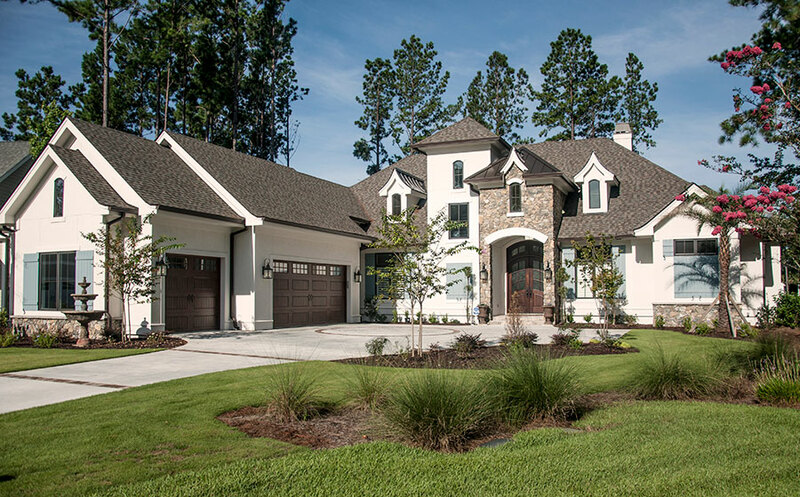 The Exterior of the Home is Stucco with Beautiful Natural Stack Stone Details as well as very unique Roof Lines. 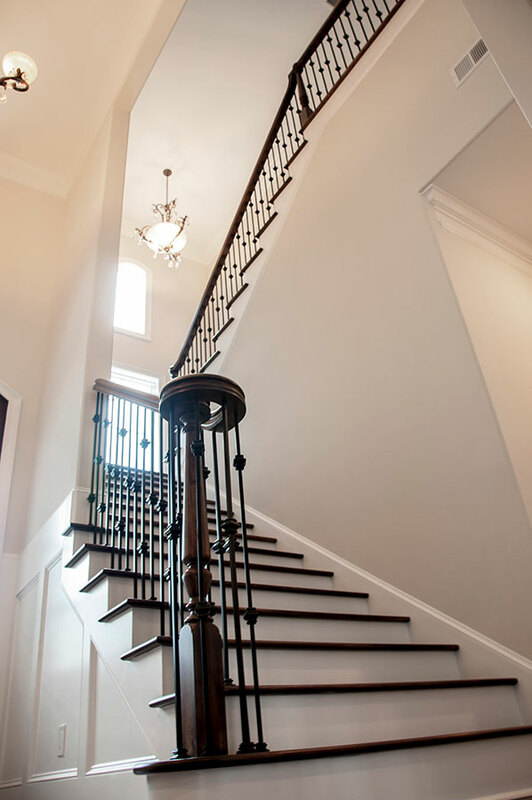 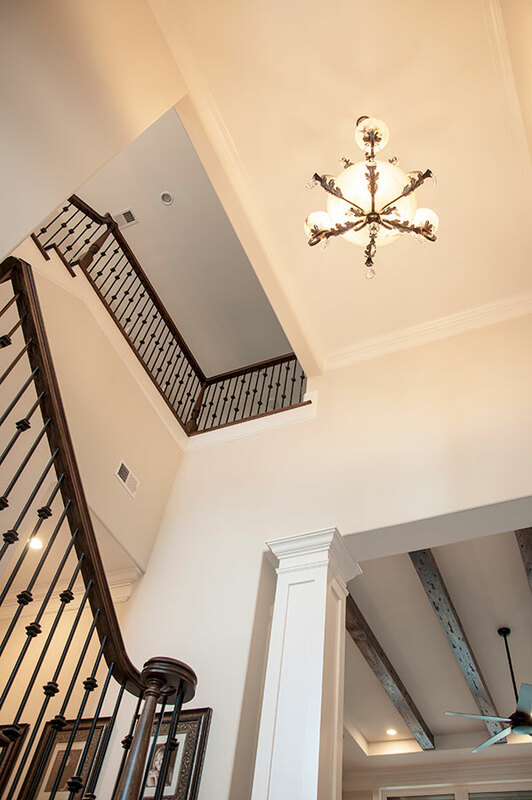 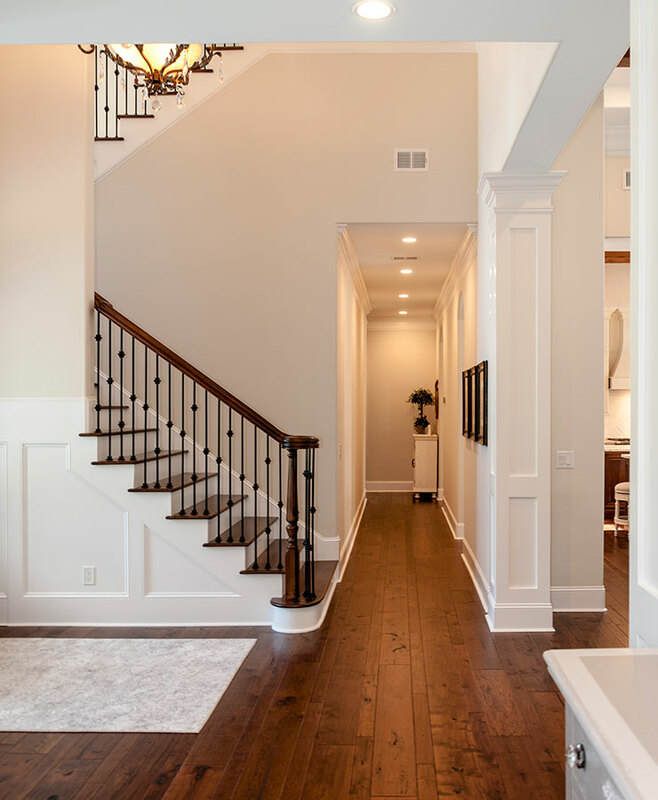 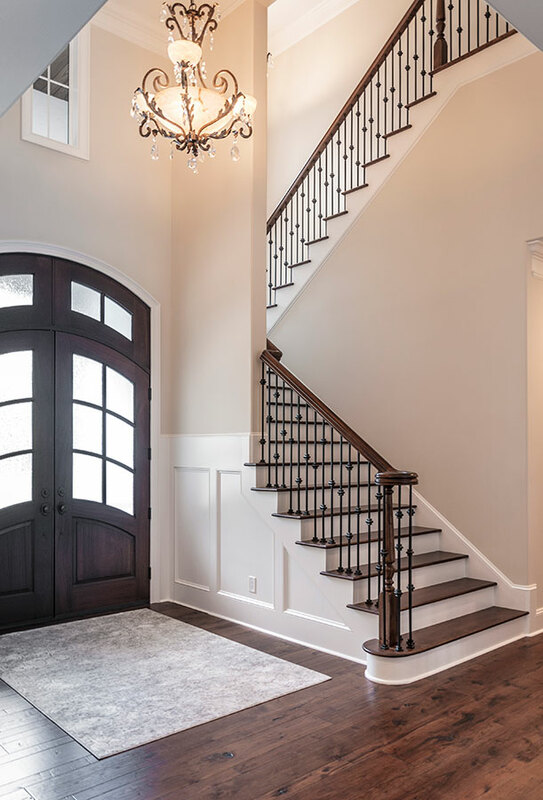 When entering the home, you find yourself in the Large Foyer with a souring 19-foot ceiling. 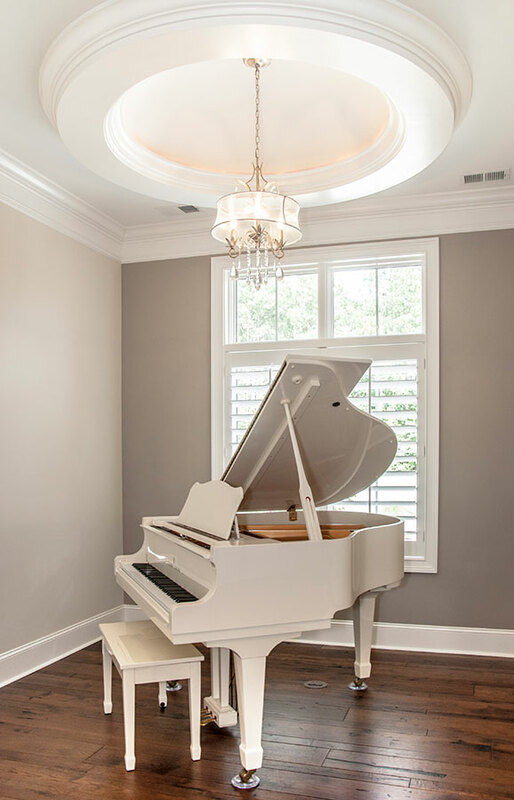 To your right you will find the Piano Room that has a Very Unique, Domed Ceiling Detail. 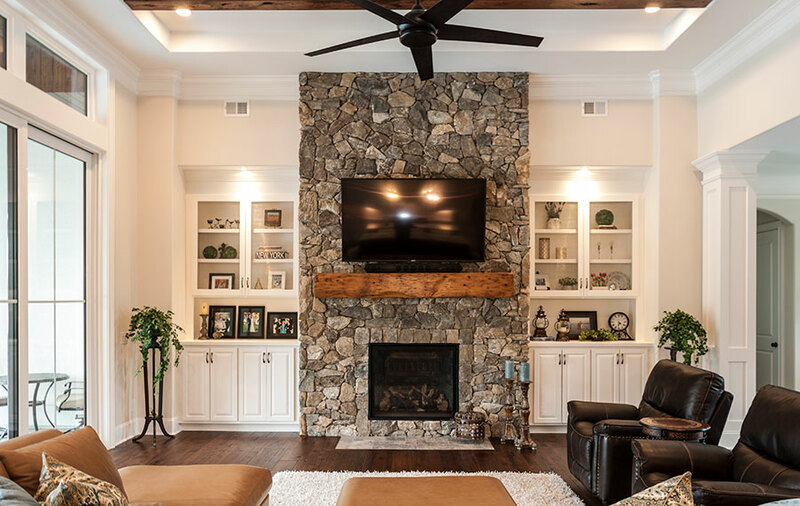 The Living Room is straight ahead; it has a beautiful, Natural Stacked Stone Fireplace, a Built-In Bar and a Stained, Distressed Beamed Ceiling Detail. 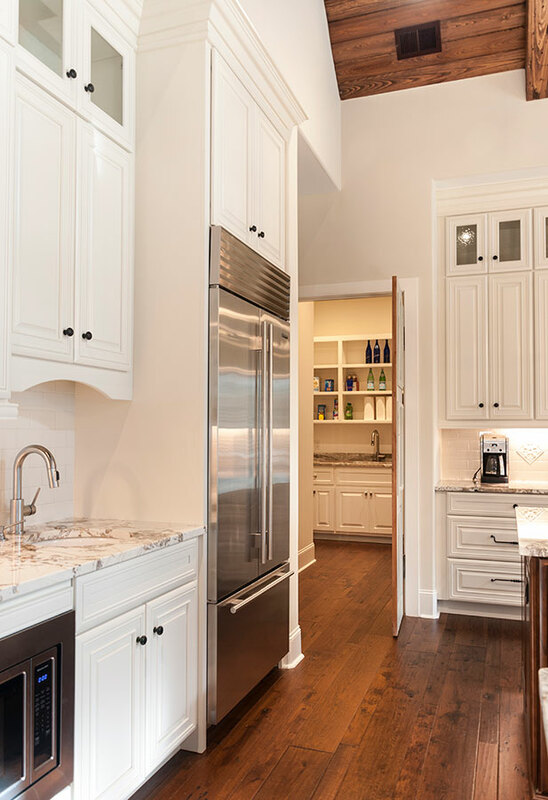 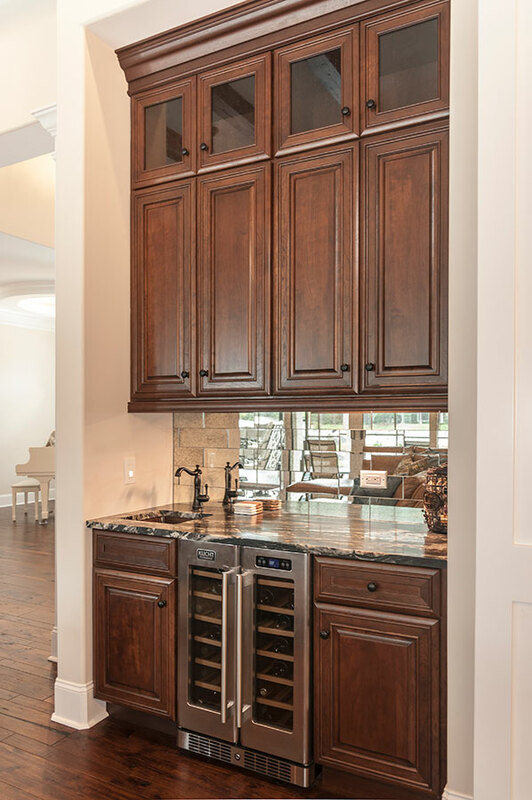 The Kitchen has Two Islands, Stainless Steel Appliances, Granite Countertops, and a large Custom Designed and Built, Pantry/Prep Kitchen. 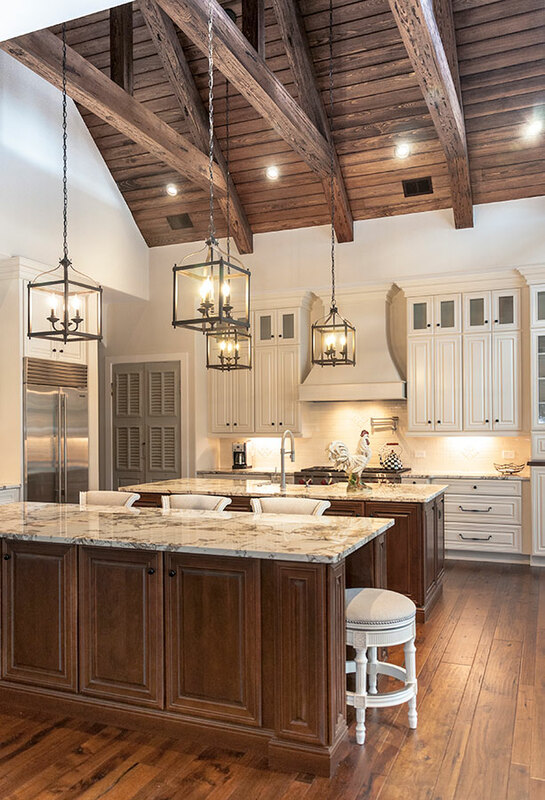 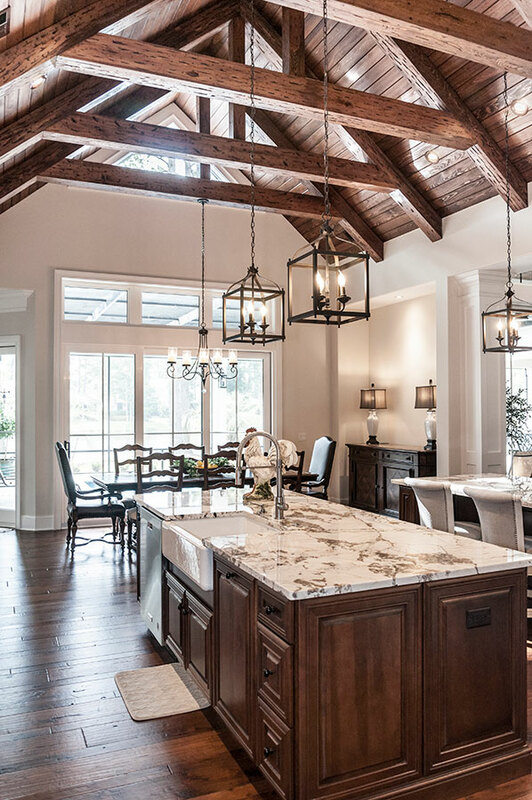 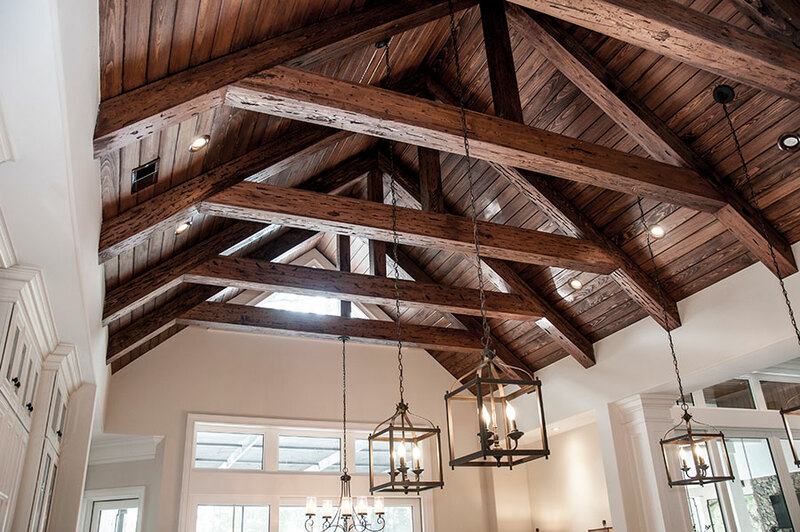 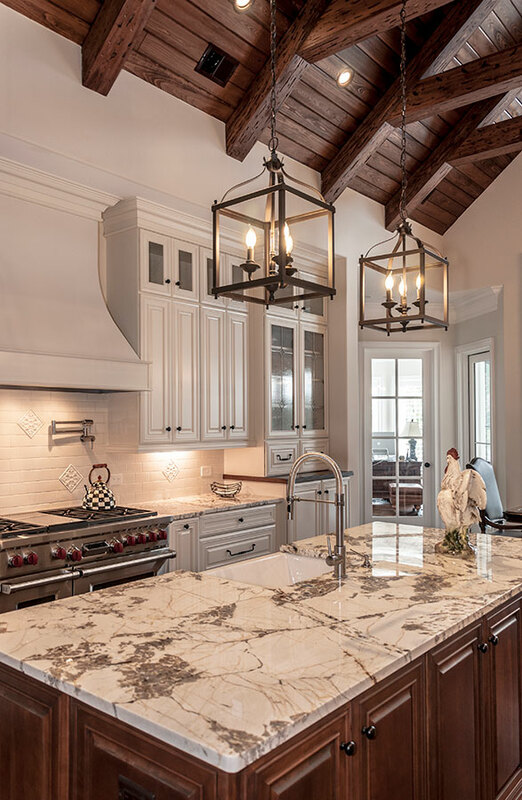 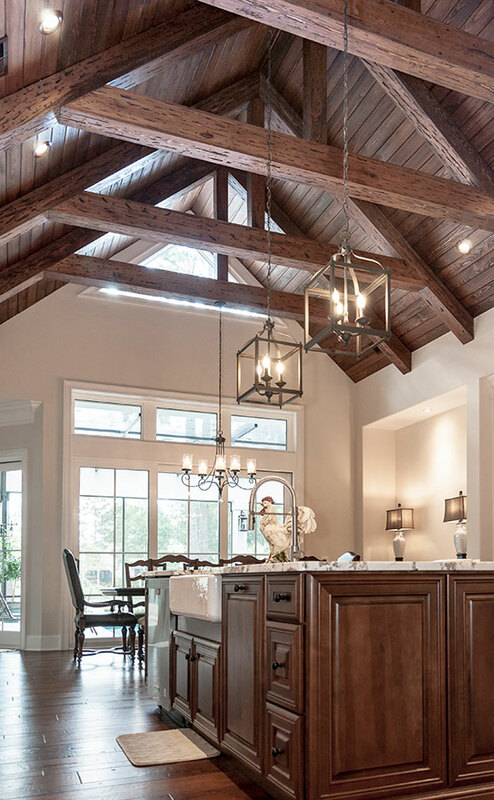 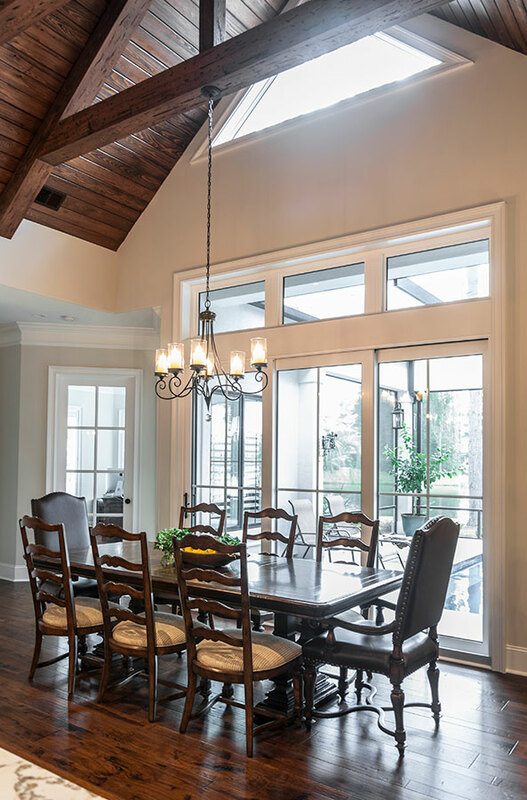 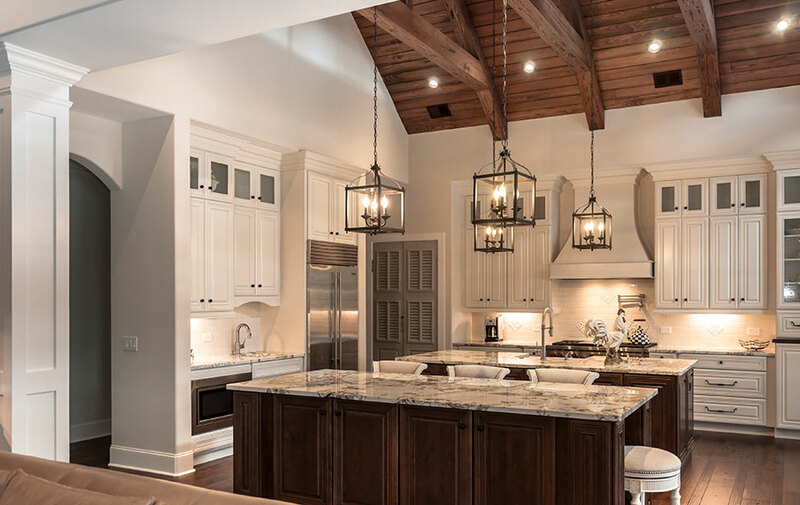 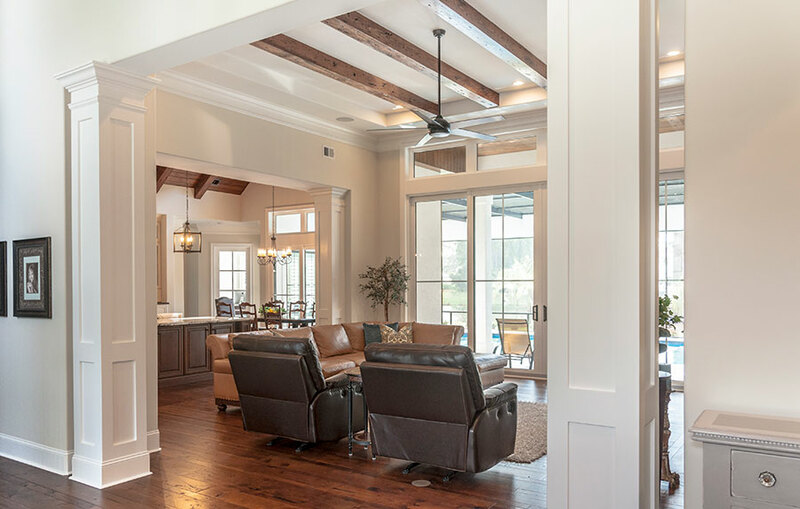 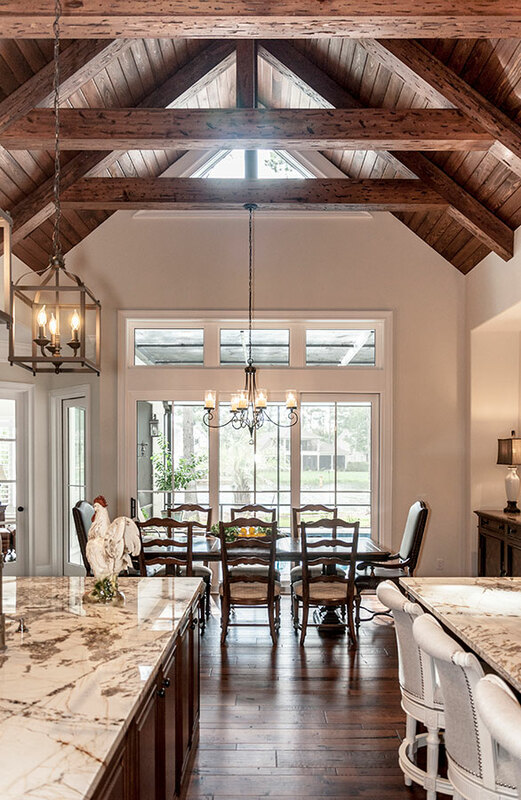 The Dining Room is to the right of the kitchen, they share a Breathtaking, Cathedral Ceiling, with Stained, Distressed, Custom Built, Trusses with Stained, Cypress Tongue and Groove Ceiling between the Trusses. 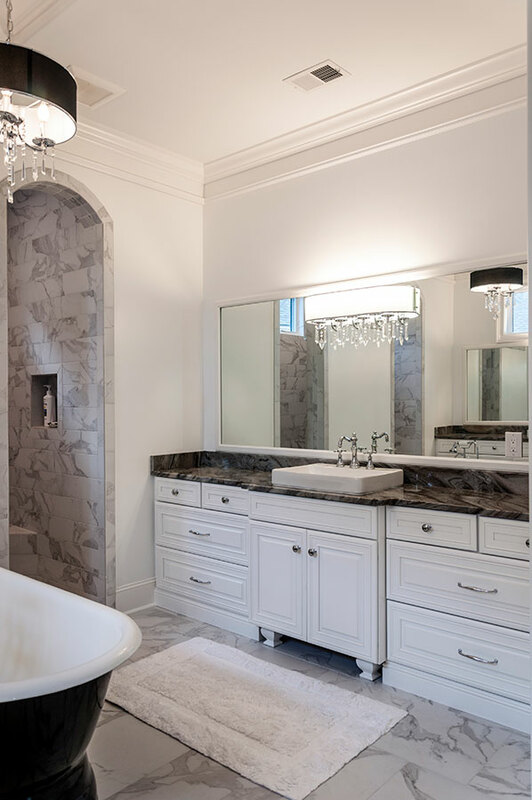 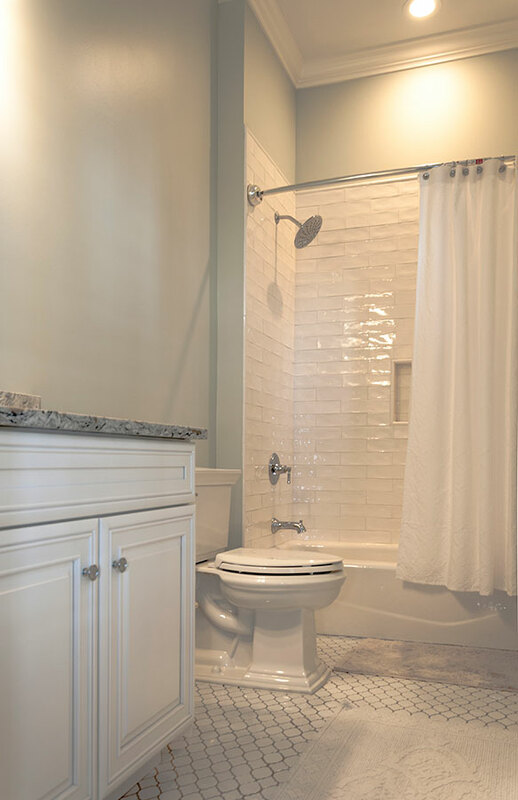 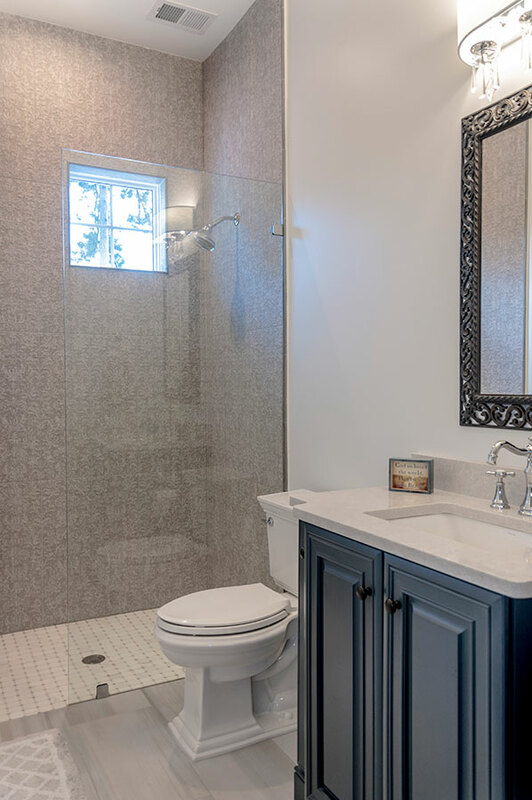 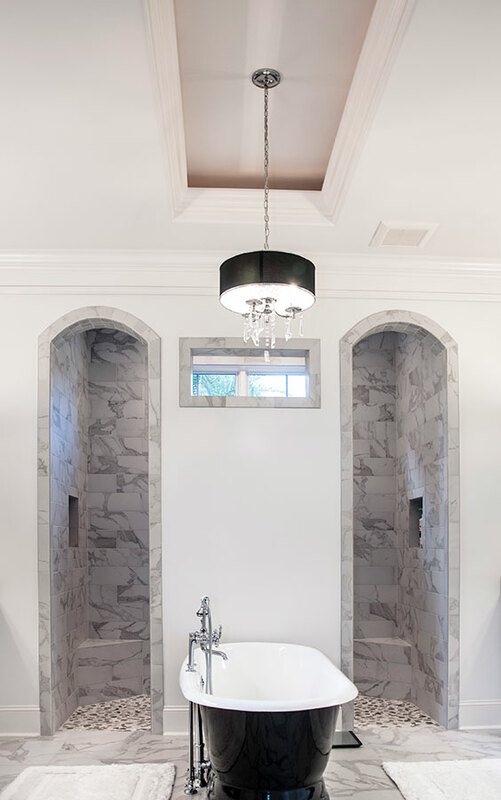 The Master Bathroom has beautiful Tile Floors and Walk-Through Shower, as well as a Striking, Free Standing Tub. 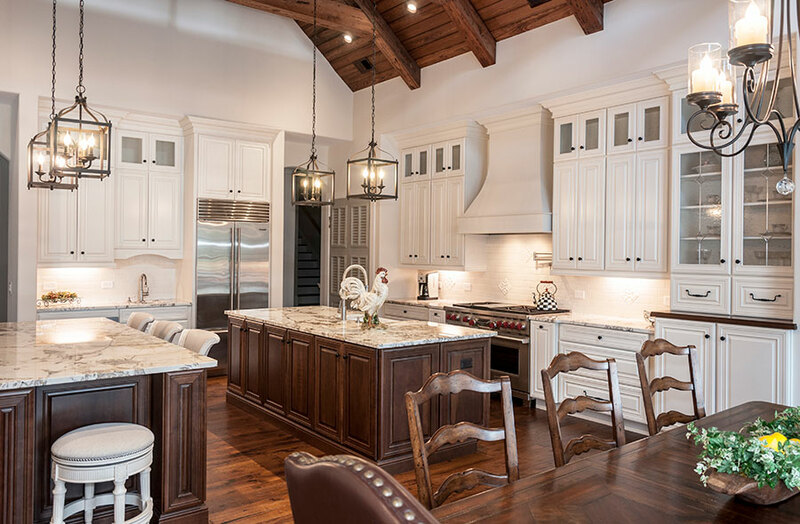 The Master Bedroom has a Cathedral Ceiling, the line of which, follows out to the Outdoor Kitchen Area. 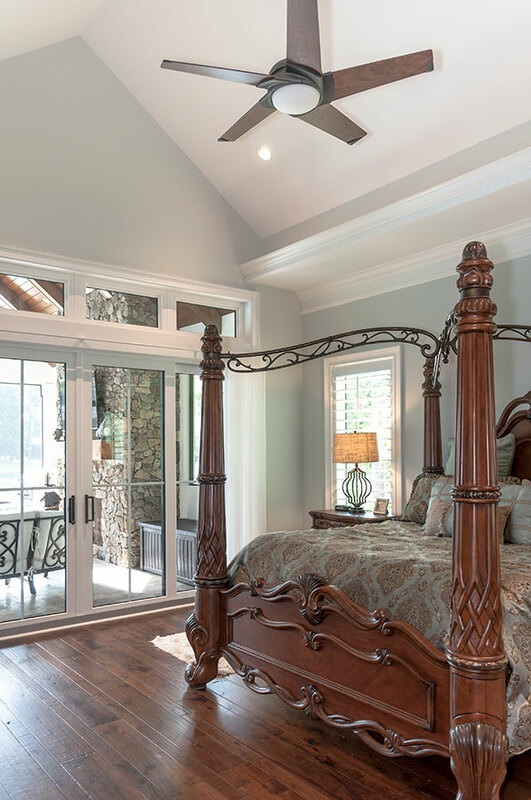 You will also find His and Hers, Walk-In, Custom Designed and Built Closets. 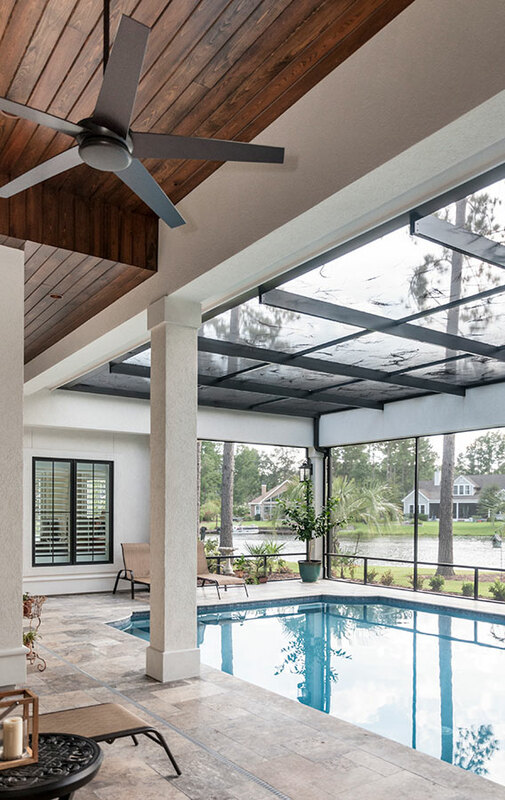 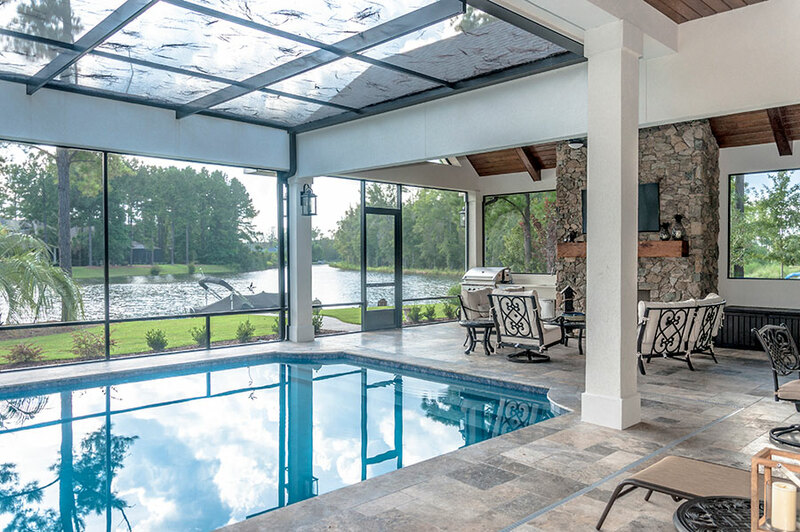 The Outdoor Living Area is Spectacular with its Outdoor Kitchen Area and Large Caribbean Blue Pool all enclosed in a Screened Lani. 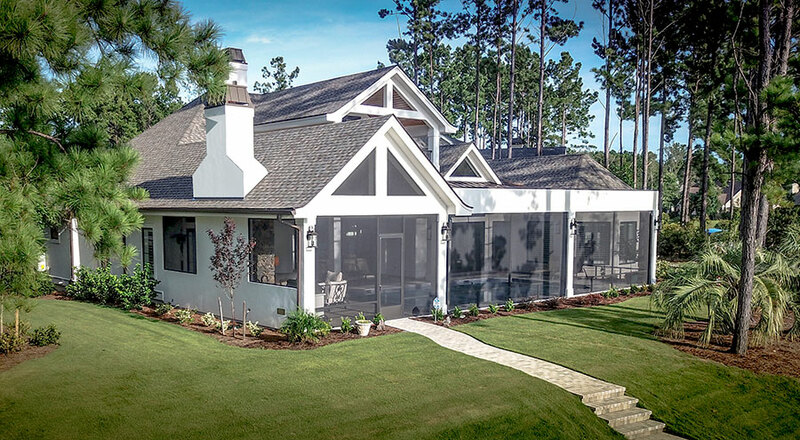 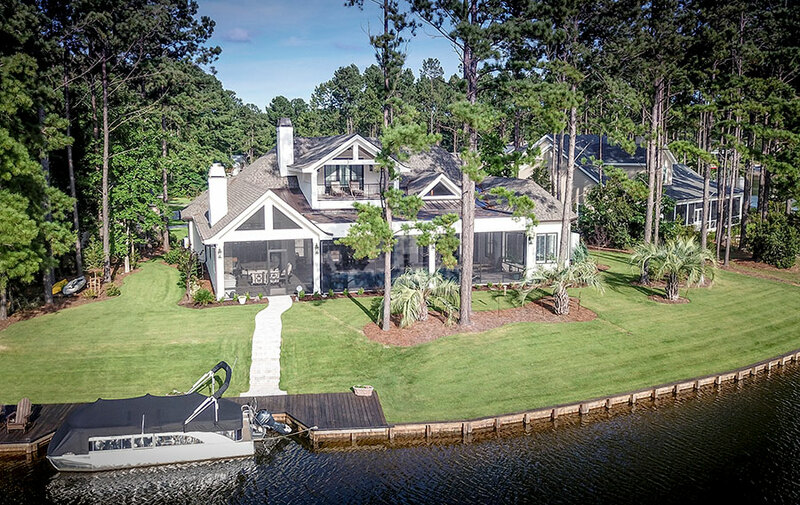 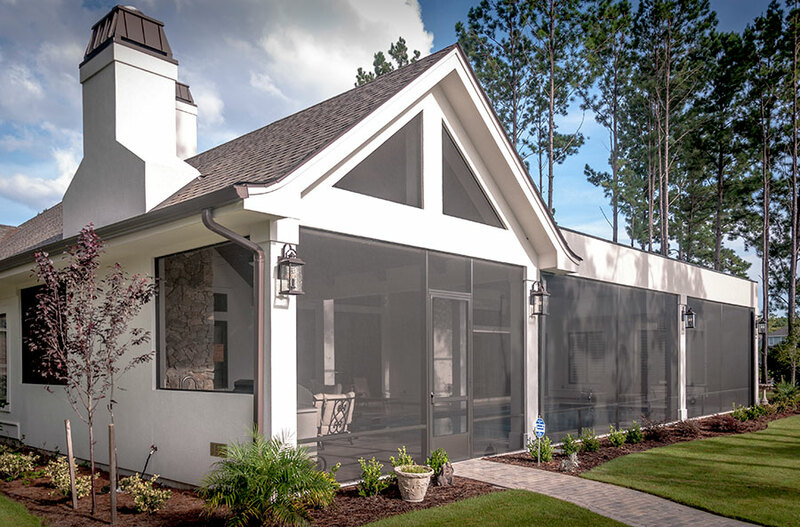 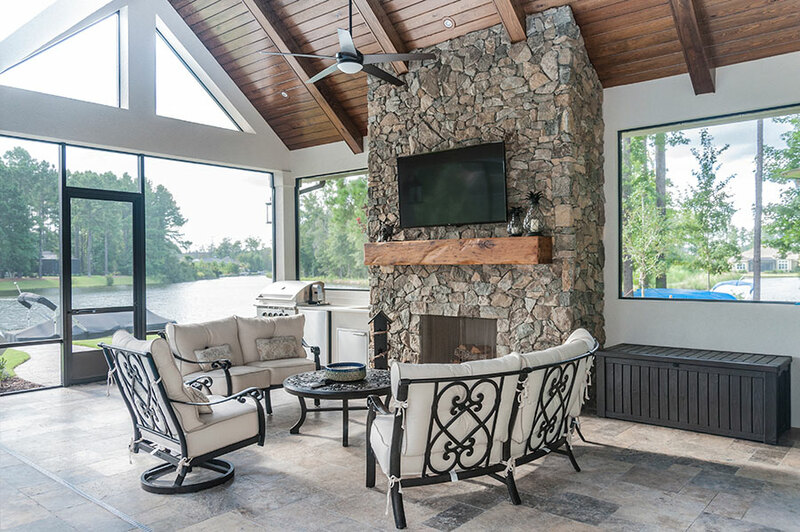 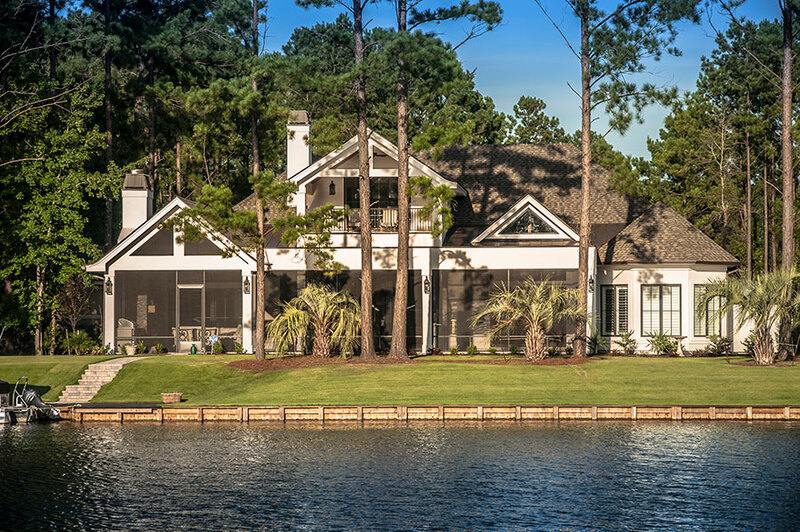 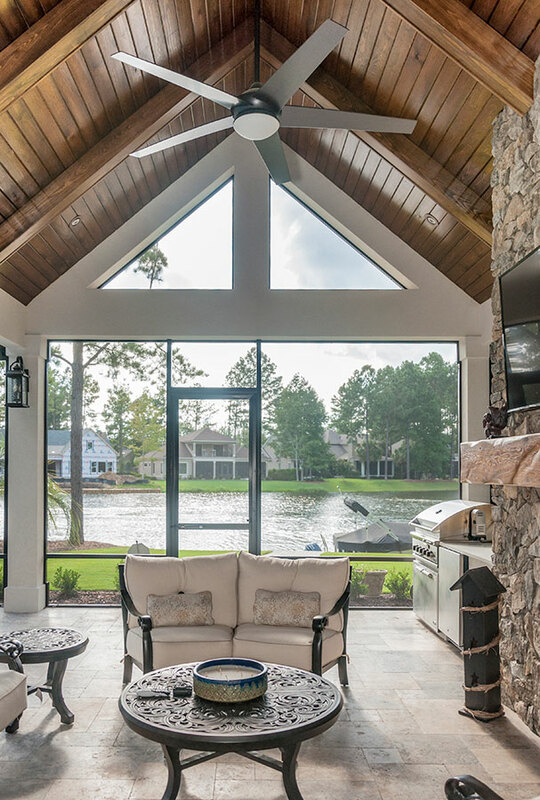 On the Second Floor there is a Media Room with a Built-In Bar Area, a Full Bath and a Covered Porch that affords a Fabulous View of the Lake; A View that can be seen from almost every room in this Custom Designed and Built Home.